Last year around Spring Break I talked about the importance of unplugging. Again, I encourage all of you reading this to take a couple of minutes around Spring Break and ask yourself "Am I being intentional with my technology? 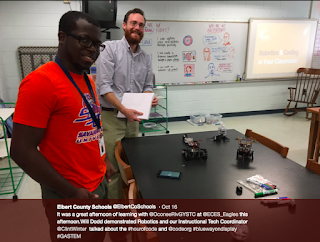 Am I creating spaces for my students where they are using technology intentionally?" It is sometimes a struggle for my family. We cut the chord at my house about a month ago in an attempt to be more intentional about how and why we use devices in our house. We still have a television but we have decided to go with a streaming service and get far far fewer television channels. Because he is a kid and he has ninja/ Russian hacker technology skills my 1st Grade son was sneaky and found a way (and I kid you not) to watch 1970s era Popeye cartoons. It drives me and Allyson absolutely up the wall. I mean, I'm proud of him but it drives me crazy for a couple of reasons. 1) Look, I'm Sorry, 1970s Popeye is no where as good as older 1940s-50s crazier, meaner Popeye that came on TBS in the early-mid 80s. We are still fighting the battle of using technology purposely in the Winter Household. I do have to brag on him though. For whatever reason he really wanted to watch some terrible Popeye. I don't know if he heard about this Roku Channel at school, or practice, or on his own, but he was able to find an app and put it on our television independently. I didn't even know he had a grasp on what a television app was. He had to read, seek, and apply digital literacy skills to be able to drive myself, his sister, and my wife absolutely crazy. 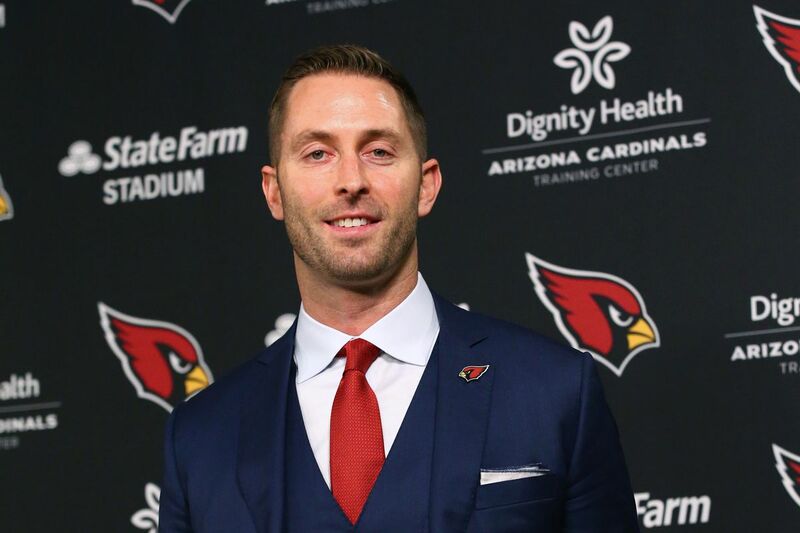 Kliff Kingsbury, (New Arizona Cardinal Football Coach) is going to have cell phone breaks for his team . This is something that he did for his players when he coached at the College Level. This is an interesting concept. At first look at this article I thought to myself "How sad is that?" I then looked up from my phone after reading the article to see that I was missing seeing my kids jump on our new trampoline. I was not using my technology purposely. Maybe I could learn from Coach Kingsbuy. He realized that he had a barrier reaching his players. In my opinion he acknowledged that the phone use is a part of life but at the same time this is probably a battle that he found hard to win and decided to adjusted his thinking knowing that he needed to accommodate his players. What does that look like for us in our classrooms? To me this means that when we use the technology in our buildings we are aligning it with learning outcomes and goals. That may mean that we are using our Technology for just a segment of the class period and not the whole time. It means that we have a learning outcome tied to our Technology. 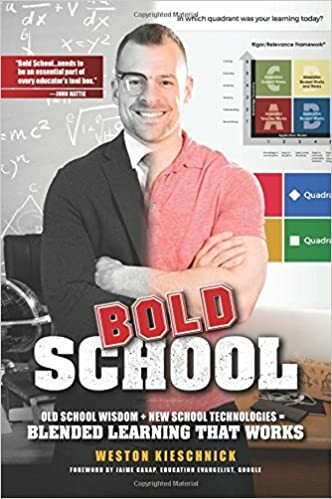 I'm about finished with the book Bold School by Weston Kieschnick. I have it my office if anyone wants to borrow it when we get back. What I've learned from him is the importance of how we are not reinventing the wheel of how we teach using technology. We should use our technology with purpose. We design our lessons with Educational goals and learning outcome first. We don't necessarily need to learn 10 different tech tools at once and be experts and expect our kids to use all of them. It is of upmost importance to align our technology use to the standard and learning outcome that we want! We use the technology to increase the rigor and relevance and create new opportunities to enhance the learning outcomes in a way we never have had before! 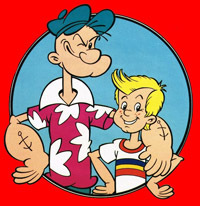 Will our kids still try to find a way to find their own 1970s popeye? Absolutely! It will be a struggle but one we must be prepared to figure out how to deal with because when we use technology the right way we are preparing our students for the future and and are creating an innovative way to learn. I'm glad we all have time next week to hit the pause button. I hope everyone enjoys their break and finds some time with a good book or a favorite hobby and spends time with the ones they love. Of course! WHy didn't I think of that. .We will check it out. . After spring break! Always love reading your posts! Educational and hilarious! Enjoy your break as well.